Learn more about the TBG Conferencing Agent Program. To be successful in today’s business environment, you must be able to reach out to key personnel quickly, communicate effectively and collaborate flawlessly. At TBG Conferencing we will help you select a conference service that meets your need to connect, communicate and collaborate. Additionally, we can customize any conferencing service to meet your specific corporate requirements. With no contracts, no monthly fees and no minimums required, TBG Conferencing is a teleconferencing partner you can depend on. The TBG Conferencing Customer Service team is unmatched in the industry. Our team is available for free and ongoing training on all TBG Conferencing services. In addition, our Customer Service Operators can assist you at any time prior to, during or after a conference call. 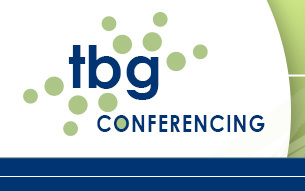 Free demonstrations on any TBG Conferencing service are available by calling Customer Service at 1.888.877.5411 or by sending us an email at info@tbgconferencing.com.